On this date in 1934, Chinese Communists beheaded John and Betty Stam in the Anhui province town of Miaoshu. The Stams had settled as China Inland Mission proselytizers in the town of Jingde (at their time generally rendered as “Tsingteh”). Betty Stam (nee Scott) had grown up in China, the daughter of a Presbyterian missionary. John was a New Jersey native who had graduated Moody Bible Institute in 1932. They had a three-month-old daughter named Helen Priscilla. On December 6, 1934, Communist rebels in China’s long-running civil war entered Jingde and seized the foreign family. According to a tribute page kept by a great-nephew of the, John wrote a short note that evening. My wife, baby and myself are today in the hands of the Communists in the city of Tsingteh. Their demand is twenty thousand dollars for our release. All our possessions and stores are in their hands, but we praise God for peace in our hearts and a meal tonight. God grant you wisdom in what you do, and us fortitude, courage and peace of heart. He is able-and a wonderful Friend in such a time. Things happened so quickly this a.m. They were in the city just a few hours after the ever-persistent rumors really became alarming, so that we could not prepare to leave in time. We were just too late. The author of John and Betty Stam: Missonary Martyr summarizes his subjects’ “inspiring and instructive story” in a blog post here. A foreboding message, but Christian evangelizing in China had often proved dangerous to its practitioners. The next day they were marched 12 miles to Miaoshu where they stopped for the night. Facing martyrdom, the couple stowed their daughter away like Moses, hidden in a sleeping bag with John’s last missive and ten dollars that might serve to care for her. 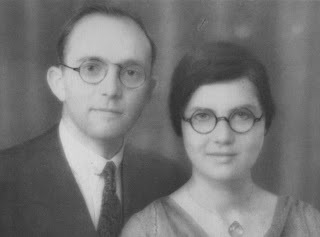 Miraculously, Helen Priscilla would be overlooked when the Stams’ captors came for them on December 8 and marched them through Miaoshu. It’s said that one Chinese vendor made bold to object, and was added to the doomed party for his trouble. At the end of the march, John was forced to his knees and beheaded before his companions’ eyes; Betty and the shopkeep followed him. Little Helen survived her parents’ ordeal. A Chinese evangelist named Lo found the girl and carried her 100 miles to a mission hospital. She was taken in from there by Betty’s parents and eventually adopted by Betty’s sister and raised in the Philippines before returning to the United States. Back in China, another missionary, Frank Houghton, was moved by the sacrifice of the Stams to compose a hymn, “Thou Who Wast Rich Beyond All Splendour” (set to an old French canticle, Quelle est cette odeur agréable? ).